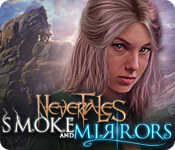 Nevertales: Smoke and Mirrors is rated 4.2 out of 5 by 22. 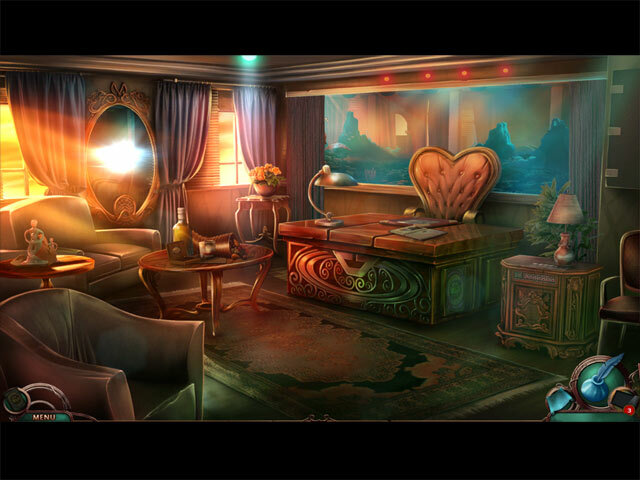 Rated 5 out of 5 by Gillybean1 from Exellent Game Good variety of hidden object parts. Quite different from most H.O. games. Story line kept it interesting. it was also one of the longer games I have played which was an added bonus. Rated 5 out of 5 by interestinggal from Second half of the game more interesting! I actually bought the game by accident because I didn't really like the casino part when I was tried the trail. However, the second half part of the game went way beyond my expectation, which was very rare these days since I could usually guess the rest of the storyline when played halfway through most games. I was not familiar with the Nevertales series when I played this game and the plot twist at the end really gave me an excitement. The best mini game also occurred at the end which intensified the atmosphere. I haven't seen any card game played this way and was really refreshing and quite challenging to me. In my options, Smoke and Mirrors as well as the Legends are the best of the Nevertales series. Rated 5 out of 5 by _hoscal_ from Wonderful - a must have Another wonderful game from the Nevertales series, and if you're a fan of one of these games, you MUST get them all. They are cleverly written and engaging, not too corny or hard. Storyline, graphics and sound all amazing. Rated 5 out of 5 by b2u4 from Very different as a HOG game I played the trial for about 15 minutes last night & knew I wanted to buy it. The HOGs are different plus there is more things for you to do that just makes it more interesting and different to the other HOG games. Yes I just bought it and look forward to continue playing. Rated 5 out of 5 by theduchessjr77 from Alice I have been with Big fish for a few years now and I can say that this is one of the best games that they have had. The story line is great, keeps you on the edge of your seat the whole time. For not being the Collector edition it sure was longer then most. 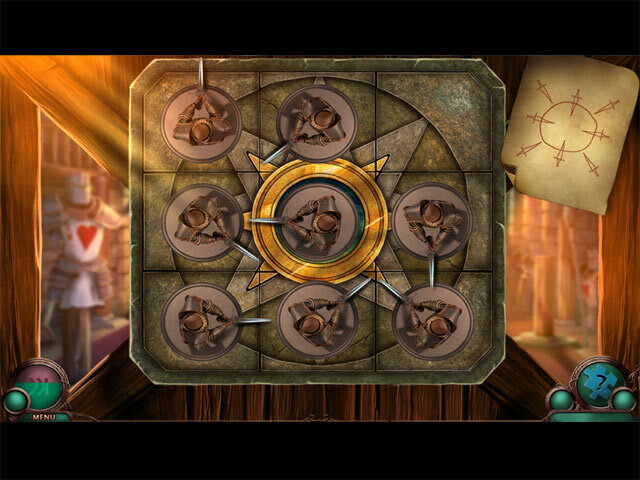 The puzzles do make you think, but are not too hard to solve. This is not your normal seek and find type of play. Everything about this game is top notch. This is a must have game. Rated 5 out of 5 by radarsweet from What a Fantastic Game! Wow! I'd be hard pressed to find anything about this game that I thought could be better! First, You can choose your level of difficulty - including choosing for yourself how long the hint/skip takes to re-charge. I love any game that gives that as an option. It helps personalize the game. There is a great deal of story-telling in this game. It will take quite a bit of time to play. It took me about 3 hours. Although there is a lot, it's also interactive in many places, so you can't just skip through it & pretend you know what happens next. The graphics are just amazing! I was thoroughly impressed with them all the way through. As you travel through the mirrors, you get a sense of a 3 dimensional shift [Just like you're supposed to]. There's an interactive map, which is very useful. There's not a whole lot of jumping, but it does help, especially when you're jumping between worlds. The hint will also direct you if you don't know what to do next. I did get lost one time, & after a frustrating couple of minutes, I was able to work myself out of the screen. I just didn't pay attention to one little detail - that made the difference. The voice-overs are excellent. They are clear & understandable. The music seemed to fit the game all the way though, although there was a time or two that it got a bit redundant. There are various HO scenes, none of which you visit more than once. Each of these scenes will give you an item for your inventory. 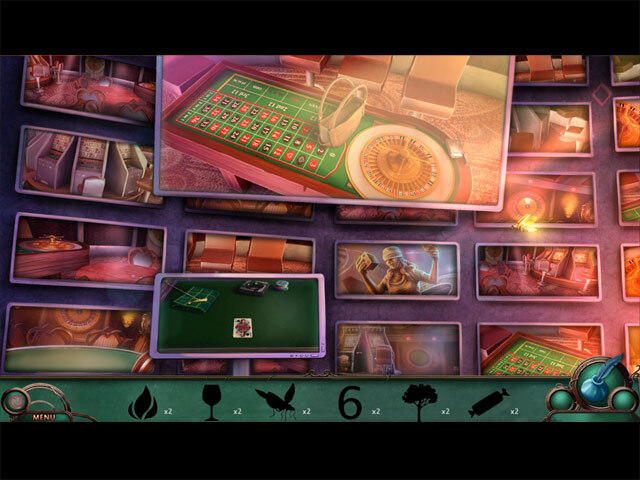 The mini-games are varied, although many of them are along the same line. As I say, you can set the skip time on all of these for as long or as little time as you'd like. There are also a couple of points in the game when you have to decide the fate of the story. "Do I choose this, or this?" I'm not sure how it changes it, but it's fun to think you have a bit of decision making to do. You have a little companion along the way; although I really don't know why... Most of the time he sits at the bottom of the screen asleep. I did think that part was a bit silly. The re-play value of this game is high. I'd think one would be able to play this game several times before getting to know it too well. There's nothing like feeling like a hero at the end of a game, & this one will certainly leave you feeling like that. I would absolutely recommend this game! It's got everything you want in an HO/Adventure game: great graphics, characters, places & lots to do. So be sure & add this one to your collection!